For me, polygamy never fails to be an interesting subject for fiction. 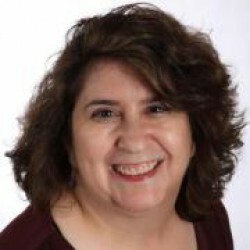 Carol Lynch Williams' The Chosen One takes the perspective of a child and wife-to-be: thirteen-year-old Kyra Carlson has been chosen by the Prophet of her family's isolated religious community to become the seventh wife of a sixty-year-old man. That would be bad enough, but the man also happens to be her father's brother. To further complicate matters, Kyra wants to make her own choice - Joshua, a boy her own age who would like to choose her as well. ]Kyra's sect, the Chosen Ones, is small and tightly controlled by its Prophet - outside influences come from Satan, and no reading aside from the Bible is permitted. Kyra has been breaking the reading prohibition with her secret trips to the Bookmobile, but her relationship with Joshua is an even greater transgression; yet in a community where the young girls are reserved for the elders and adolescent boys are driven out, marrying a thirteen-year-old to her own uncle per a leader's decree is following God's directives. Even so, Kyra's father attempts to get the Prophet to change his decision, while Kyra makes her own plans in case he's unsuccessful; she's getting out, one way or another. 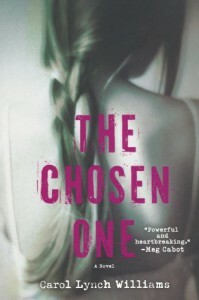 Written for a younger target audience, The Chosen One doesn't take a particularly nuanced approach, but in doing so, Williams has crafted one of the scariest stories of a polygamous society that I've read yet. The potentially unhealthy, and even dangerous, effects of this lifestyle - which, one should note, is a practice based on a sincere religious belief - come across clearly. There's a sense of paranoia resulting from the power and control a small group exerts over an self-contained community, and in the face of that, Kyra's actions seem particularly brave. The novel is more plot- than character-driven, and I was quickly pulled in. The Chosen One's portrayal of one polygamous society, and one girl who tries to defy it, isn't the best novel I've read on the subject, but it definitely makes an impact.